You warrant to us that you are at least 18 years old and a resident in Malaysia at the time of your application for the ZALORA NOW membership (“Membership”). In order to sign up for ZALORA NOW you need a registered ZALORA customer account. Your ZALORA NOW Membership term is valid for a period of twelve (12) months at a time. We will automatically renew your membership every twelve (12) months by charging the then prevailing ZALORA NOW Membership fee to the same credit card or payment method used for your previous Membership term. If such credit card or payment method is no longer available, we may charge the Membership fee to any credit card you have saved in your registered ZALORA customer account with us. We will send you a reminder of the automatic renewal one (1) month before expiry and another reminder two (2) weeks before expiry of such term on your registered ZALORA customer account. Please let us know if you do not wish to renew your Membership. You can cancel your Membership within the first thirty (30) days if you have not made any eligible purchase using the ZALORA NOW Membership by contacting ZALORA customer service. Once an eligible purchase has been made your Membership cannot be cancelled. Membership in the Program entitles you to unlimited next-day delivery for all your orders at no additional cost from www.zalora.com.my (see express shipping terms here). There is no limit on the number of your orders or any minimum value threshold for each order. 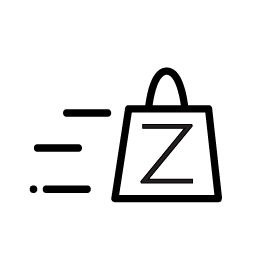 The ZALORA NOW delivery Program applies to products sold on www.zalora.com.my which are fulfilled by ZALORA only (designated as “Sold By ZALORA” on their product pages). Products sold by other sellers are not eligible under the Program. These terms are governed by the laws of Malaysia. Any dispute arising out of or in connection with this contract, including any question regarding its existence, validity or termination, shall be referred to and finally resolved by arbitration administered by the Singapore International Arbitration Centre (“SIAC”) in accordance with the Arbitration Rules of the SIAC for the time being in force. The seat of the arbitration shall be Singapore. The Tribunal shall consist of one arbitrator. The language of the arbitration shall be English.